Last night, I went out with a friend and we *SOMEHOW* ended up in Ulta. I have NO idea how we got there....but since we were there I decided to have a little look around to see if I wanted to try anything new. As you may or may not know, I am obsessed with all things skin and so when I saw this product on the shelf, staring at me, I knew I had to try it. 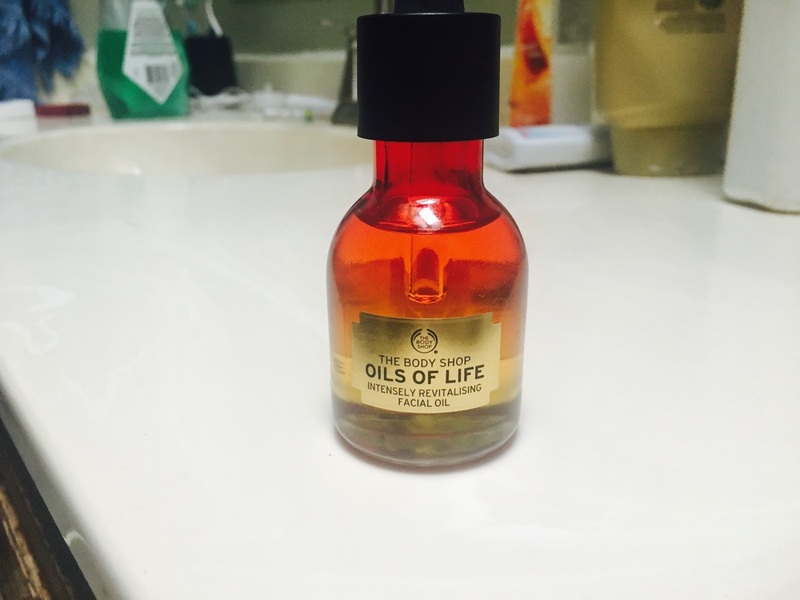 This product is The Body Shop Oils of Life: Intensely Revitalising Facial Oil. Wow that was a mouthful. It sounds intimidating, but also, intriguing! And I had just run out of my beloved The Body Shops Drops of Youth serum, so I took it as a sign from the universe to try it. And so today, I thought I would give a first impressions of this product, because I think, for most things, your first impressions sets the tone for how you feel about things. It's important. My first impression of the packaging is that it is really nicely made. Good quality. The top is similar to a science dropper (SO to all the science geeks out there!) And I actually prefer it to the Drops of Youth dropper. Once you unscrew the top, the first thing I notice is the scent. It smells of *natural* things, which I suppose, adds to the appeal that is is formulated with "3 precious seed oils": black cumin from Egypt, Rosehip oil from Chile, and Camellia oil from China. How international. Once I knew the ingredients, I can definitely smell the Rosehip oil, but it doesn't have a *bad* smell. Instructions are very straightforward: "Apply 1-2 drops onto face and neck and gently massage into skin every morning and evening before applying a cream." Ok. Easy. I can do that. I noticed that the product was a bit thicker than my Drops of Youth serum, but I guess that is because this is an *oil*, so it's to be expected. The oil felt absolutely wonderful on my skin! Rich, smooth, hydrating, are all words that I would describe when applied on my skin. Although I try not to touch my face too much, I wanted to SO BADLY because it just made my skin so soft. It didn't take too long for the formula to soak into my skin, which is also a nice plus. 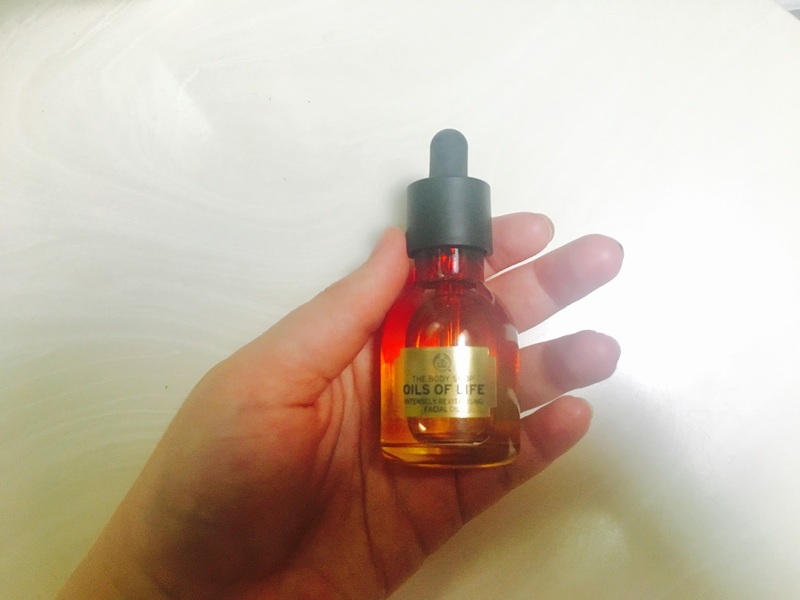 Overall, I think it has a good first impression, and I would recommend looking into this product if you are interested in serums/oils for your face, but I don't think it is absolutely necessary. Like, I wouldn't KILL for it, but like, if it was there, I would use it.